Wiley CPAexcel 2019: My Review - Legit CPAexcel Discount of $900! 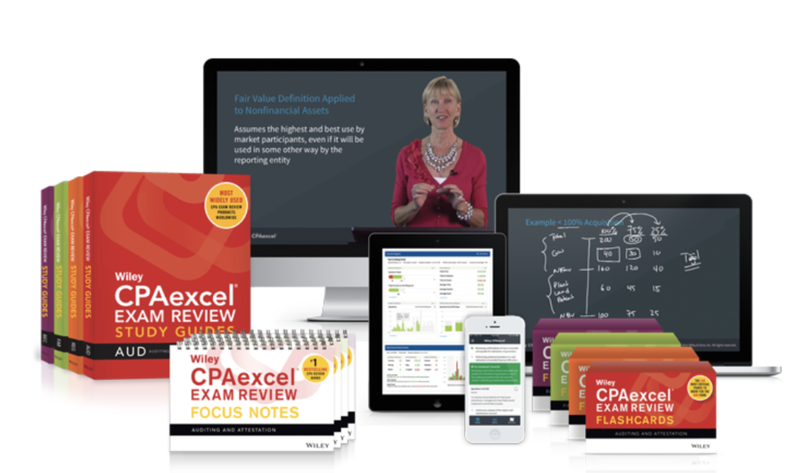 » Wiley CPAexcel 2019: Free Trial + HUGE $900 CPAexcel Discount! Wiley CPAexcel 2019: Free Trial + HUGE $900 CPAexcel Discount! Wiley CPAexcel was developed by a team of professors in 1998 and has been part of Wiley since November 2012. Wiley CPAexcel is one of the fastest growing CPA review providers, and its product appeals to international students because of the sophisticated online delivery platform. 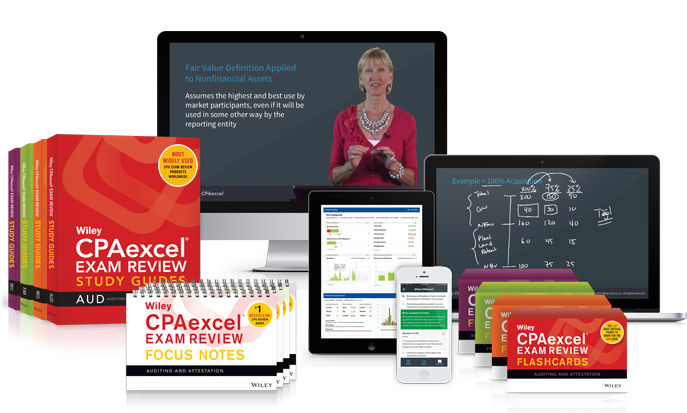 There is no CPA review course on the market that offers as much value as Wiley CPAexcel. Wiley’s most expensive course is $2,800 (without a discount, but there’s one here). The Platinum course, while the most expensive, is a great value all-around. 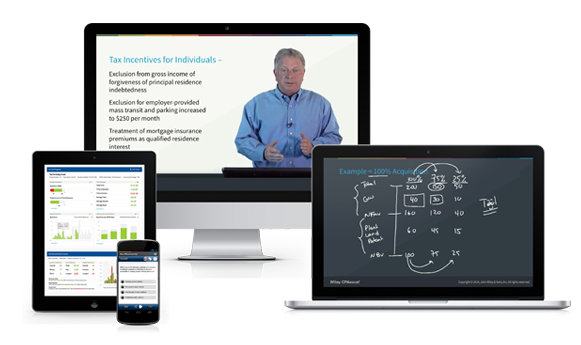 You’ll get 140 hours of lectures (including the deep dive lectures), an analytical course, flashcards, a mobile app, Access Until You Pass, and so much more. I also love Wiley CPAexcel’s comprehensive materials and the overall quality of the course’s questions and lectures. When you think about it, 9 out of 10 is pretty encouraging considering Prometric does not prescreen students to take the exam. Besides this impressive statistic, Wiley CPAexcel has received an endorsement from one of the Big 4 firms. While I don’t think a Big 4 endorsement should be the deciding factor, it gives comforts to candidates who may not be familiar with the brand name. The first thing I really like about Wiley CPAexcel is their no-nonsense approach to protecting CPA Exam candidates. Most of the major CPA Exam providers offer a variety of “promises” to those who may not be able to pass the CPA Exam on their first attempt. Some offer a discount if you reach a certain attendance rate, while others may offer you continued access within a limited time frame. Additionally, some of the other CPA review courses (like Becker) charge extra for updates after a specified date. When you realize that more than 50% of candidates fail to pass the CPA Exam each year, this is a very important point to consider. In case you fail the CPA Exam, you’re going to need a course that will be available to you, without any additional fees, for as long as you need it. Instead of a half-day, or even full-day course once a week, Wiley CPAexcel’s online capability allows candidates to study at their own pace with bite-sized lessons. Judging from my own experience in Becker live class, this is definitely a plus. The lessons typically take 30 minutes to complete, which many of us can do during lunch time — and assuming you have a one-hour break, you’ll still have another half hour to digest the materials and work on a few multiple-choice questions. And frankly, even if you have the time, accounting isn’t too much fun, and I would much rather learn from short online videos vs. a 4-hour long lecture. Also, accomplishing a little at a time is more motivating. One of the reasons why candidates fail the CPA Exam is time management. Candidates may not set aside enough time for final review. Additionally, some candidates do not finish studying all the materials. Wiley CPAexcel can provide a great solution for these candidates. The Wiley CPAexcel course includes personalized exam planning functionality with every course, and I’ll tell you how it works. When you enter the study planner, you will be asked to enter your exam date and the number of hours you plan to devote to studying each week. Once you enter this information, the system supplies you with a detailed list of assignments (the actual coursework), and a specific due date and number of hours required. There are also check boxes that you can click after you complete each assignment. If you need somebody to help you keep track of your study progress, no one will ever do a better job than this computerized study planner. The Wiley CPAexcel platform is very high tech in that it allows you to track your progress in real time and also generates lots of cool charts for you. If you are analytical, you will love it. My readers love the Wiley CPAexcel CPA review course as much as me! Wiley CPAexcel uses a computer-based approach. I understand that students learn best in different mediums. If you are NOT someone who can live in front of a monitor and stare at the screen for a long time, this may not be the best course for you. Update: Wiley CPAexcel now has a mobile app, so you’ll be less tied to a computer and can study on the go! I also understand that many students are accustomed to underlining, highlighting, and taking notes on actual books to facilitate their learning. CPAexcel does include textbooks; however, but if you are a textbook learner, you aren’t taking full advantage of what Wiley CPAexcel is offering. Their lectures, although short and sweet, are very general and usually do not touch upon the specifics of the topics at hand. For example, I had to get my old intermediate accounting book and do research on how accruals and deferrals work, and now I am having to go back to that same intermediate book in order to refresh my memory on the single and multiple-step statement because the lecture just touched upon their purpose but no exercises were shown. In short, if you are a fresh grad, then this is no problem at all. But if you need more guidance because you are a non-accounting major or have been out of school for years, then take note of this. Update: Wiley CPAexcel has recently added an additional 40-hours of deep dive lectures. This brings the total lecture offering to 140 hours – more than any other course! You need a lot of lectures and appreciate a variety of learning materials. You appreciate a highly customized course that tracks your progress and weaker areas. Getting no-gimmick, free trials and unlimited access until you pass the exam appeals to you. Try CPAexcel Now for Free! Hi John, I am afraid you do need to cover everything in FAR… but if this is really tough, skip the video, skim through the materials, and focus on practice questions. Would that help? I have been out of school for a while and feel a strong CPA prep course. I plan to take the exam in April, 2016. I am a type of learner who needs “live support” (a real person to explain something to me, either in person or by phone); I am accustomed to highlighting, circling and dropping notes on the side of the textbooks, but I also need what CPAexcel has to offer. The computer cannot be the only method of study. I especially need the unlimited access to the study materials until I pass. Which review course would you recommend that will be the most beneficial for me? If live support is the #1 priority, Yaeger has a telephone hotline but please don’t expect they can meet your other expectations. I’m sammy , 31 years , from Malaysia , would like to study CPA , but i don’t have spm, diploma … … in account Department more than 10yrs experience. Did i have chance to study CPA ? At Malaysia which place can study CPA course. Thanks for your note. You don’t really need a CPA title to get a job in the US (or put it in another way, a CPA title can’t guarantee jobs or get you a visa to live/work in the US). Having said that, it helps. I am not sure what “spm” means, does it mean you don’t have a bachelor degree? If so, pretty hard to do I am afraid. They are now looking at master’s degree (5 years of university) to get qualified as CPA. Two questions, the discount on Wiley CPAexcel that you have provided, how long will it be valid? Second, this will be my first time taking the CPA. I have been out of college for 5 years and have been a financial accountant for a large business for 4 years spending most of my time doing monthly financial disclosures with small amounts of contact with taxation and audit. I am hoping to complete the exam process before they make changes to the exam in 2017. So, based on the information above, I am interested to see how I should allocate my time for each of the tests. On the discount, I’ve no idea to be honest — I ask for extension every month and so far they are happy to do it. But Wiley does change the goodies, so next month they could remove the 15% off and replace with free flashcard, for example. We had a couple of those changes in 2015. I’ve already received the payment coupon and the deadline of my exam payment is until December 13, 2015. Is it still advisable to take review courses when i’ll be taking my exams starting on January 2016? Hi Jec, do you have existing review materials on hand? You do need to study to pass this exam. I do have the materials and I only do self-study since i’m residing in the Philippines. How long does the review classes usually take? Jec, if you mean the live classes, it usually runs for a few months. It all depends on the frequency of the class so I can’t really give you a practical answer. I hope you will be able to read this. You must have taken the exam by now. Hope it was good for you. The reason I’m writing is to ask about your initial application. I am a graduate of BS Accountancy from the Philippines too. Did the state board require you to have a 5-yr degree or was 4-yrs sufficient? Hi Shelly, some states allow that you have 120 credit hours (4 years of university) during the time of the exam. But ultimately, to get the license, all states by now require 150 credit hours (5 years). you can choose to get those credits after the exam, and they can be non-degree courses. I’m only a graduate of a 4-year Accountancy degree. Since we are international candidates, a transcript evaluation is required for us. So 4-year or 5-year would not really matter because our subjects need to be evaluated. Is Becker still the only one that offers financing? 1)Which course do you recommend i purchase, i.e silver, gold or platinum? Thanks for your note. Sure Wiley CPAexcel is great in your case. It’s always nice to get the platinum 😉 but it depends on your budget. The tools above the silver package is not a must so don’t feel bad if you don’t feel like paying for the extra. But you may need to put in more studying time without those extra tools. I keep hearing of the ‘four areas’ – is this applicable to the CPA testing the way it is set up now? I am graduating from an accredited program June 2016, so I will be entering direct into the CPA PEP to begin my Core 1. I intend on taking Core 1, Core 2 and my Assurance elective in 2016 followed by my Tax elective early 2017 and to do my 2 Capstones and write the CFE Fall 2017. Would the platinum purchase cover my entire CPA studies? Or do I buy a platinum package for Core 1, followed by another platinum package for Core 2 etc. ? Sorry – I know with all the CA to CPA changes it must be hard getting all these confused students! Hi Elena, have you sign up for their free trials? The great things about the two of them is that they offer free trials. I like both of them but they are pretty different — Roger being stronger in the videos (as in they are more engaging) but the online system capability of Wiley CPAexcel is very strong, pretty impressive from the interactive study planner to the progress tracking (I like green dots showing that you are ok with the certain subject etc). Thank you so much for the fast response! Now I have a third option: Surgent CPA. I happen to win a 50% scholarship for the review course yesterday at the college presentation session so now I am even more puzzled! I will let you know what I think about all of them! Thank you again. I would like to purchase CPA study books as well as test bank. I guess Willey CPA exam review materials would be useful to me to start preparation for sitting in FAR exam. Is it enough to use exam review and test bank to prepare for exams? By the way, i am planning to move to Canada. Will Willey books help me to sit for CPA canada exam? What can you advice me? Hi Shefa, I can’t really guarantee that the Wiley book + Wiley test bank is enough. It works for many but definitely not all, otherwise there is no need to have the full review courses such as Wiley CPAexcel. Hi. I’m a non US resident and intend taking the CPA exam this year. I completed my studies 10 years ago and have since worked in tax. I’m a single mum. I am considering the review course by Roger or Wiley CPAexcel. Please advise which course would be most suitable. I am Meetha. I am a resident of Massachusetts on L2 Visa type and have SSN. i have a total of 146 credits determined by NASBA Evaluation Services under undecided jurisdiction. I have Alaska, Gaum or Oregon to choose for exam and licensure. Please advice which will be my best option. Thanks for your reviews in the prep courses. I tried Becker self study for FAR and was unable to get through the all of material before my exam. I took the exam any way and failed. Although Becker is comprehensive it was time consuming and very detailed. i am a bit old school in that I like taking notes so not sure how comfortable it would be with a pc based study. Are there capabilities to print sections or materials? Any other tips or advice for a second timer? I am trying to decide which study course would be best d or me. I would like one that offers audio so I can listen while driving to work. Also, I am ready to start reviewing because I would like to take the exam before the changes happen. I was thinking Becker at first but almost afraid it will be to must. I work full time and have to allow time for family. I learn best by watching someone do, or follow steps, or even by trail and error through practice. I recently finish by MBA in 2015 and just finished taking some additional accounting courses which ended in April. Also, I’m recovering from back surgery so going to a class wouldn’t work because I can’t stay in one position for too long after working a full day. I also, like the option of being able to finance if possible. Any suggestions to help me slim down my options. Hi Amanda, Roger has a financing option if I remember correctly. The video is also short and manageable (almost funny) and you can watch them at the comfort of your home. If you get the Elite version (or pay extra for the standard version), you can get the audio review as well. I have a quick question. So i got my international credentials evaluated from ACEI for California Board of Accountancy, and they gave me a total of 183 credits. I’ve filled out my application forms and sent it to CPA board, they said it due to large number of students it is taking around 6 weeks to process your application and after that they will notify if application has been accepted or not. So for preparations, do you think it is a good idea to spend money on review courses right now or should i wait for the application acceptance and notice to schedule exams first? Having enough credit hours (183 in your case) is good but only one piece of info. The report should state whether you fulfill the requirements in terms of (1) degree requirements; (2) minimum accounting credits; (3) minimum business credits and possibly a few other info. If you rae good in all the criteria, then go ahead and study; if not, then it is better to wait. If you don’t understand how to read the report, ACEI should be able to help. Good luck on a smooth application process! I am chys I am in usa two months ago. I come from Cameroon, where I studied accounting. I am particularly interested by CPA exam. I would like to know how the evaluation is conducted with NASBA and his cost. Is it possible to have all the requirements after NASBA evaluation? I have a B.A. degree in Accounting at California State University Fullerton. I dont know if I have enough classes to qualify for a CPA requirement. I see this link https://ipassthecpaexam.com/nasba-international-evaluation-services/ for evaluation for international students. Do you know any service that evaluate my transcripts. I have searched internet but I dont find anything. I really like Platinum package for Wiley. It is unlimited access. So I have more time to study. I am a C student. So I need to spend more time to study before I schedule a CPA exam. I will buy this course. I just finished by BS accounting from Liberty University. I have two goals ahead of me sit for the exam and join Masters in Taxation. Which is the best way to do this? Do the exam first and join the masters to have the additional 30 credit hours or finish the masters first and sit for exam. The standard way is to take the master’s and then to sit for the exam. There are states that strictly require 150 credits before taking the exam. In this case this is the only way for you. I would like to know if after the evaluation of my degree if i have more than 120 credit and i prepare a degree of 2 years in a community college i can have the requirements of cpa examen. I just wanted to share that I just communicated with Wiley (I have the Platinum CPA Excel) and there is no Final Review/Cram Course in their materials. I spoke with someone and they explained the only review is reviewing the practice exams and the diagnostic assessments. To me, that doesn’t imply “Final Review” and certainly not any way to review at last minute. I see “Final Review” noted as a check mark for included in your big chart of comparison when choosing course options. Am I missing something that is more termed a final review? The gentleman at Wiley told me a “Final Review” was reviewing all my materials again. I have been working as a senior accountant for about 10 years. I am almost 50 years old. I was qualified to take the test. I need to pass the exam so I can get a big promotion. I am very with audit and financials. I was reading old books from the library and I felt overwhelmed. What will be you advise for me? I am planning to sign up to take the Audit in July. First, your website is really good, covers many particulars I have, though, I have some concerns I need you to clarify. I am from Yemen, in AICPA website, Yemeni citizens are eligible to have the CPA exam in the mid-east countries; you did not mention it in your website. At the very beginning, I need to know if I’m eligible to have the CPA exam. I am from Yemen. I can go to have the exam in Lebanon. I’m 37 years old. I have MBA and bachelor degree in accounting. My overall experience in finance and accounting is more than 10 years. If I am legiable, what are the first steps I should do to be in CPA world? How can I study the Wiey CPAexcel? …. too many questions. Excuse me if I told you that I am totally new and fresh about the idea of being CPA but I am fully interested to be a CPA. My name is Mohamed and a naturalized citizen. i graduated with an Accounting degree from my home country which utilizes IFRS instead of GAAP. i attended college here for a year and took both intermediate acounting classes, audit and two tax classes ( individual income tax and business income tax). i am currently a graduate student in Accounting and plan to start the CPA immediately after graduation. i am however cofused with the right prep course as my school highly recommends Becker but however we used the wiley texts in our intermediate accounting courses and I love them. i am the kind who likes reading on thier own and comes with questions to the professor with areas i need more explanations froms. Do wiley offers that ?